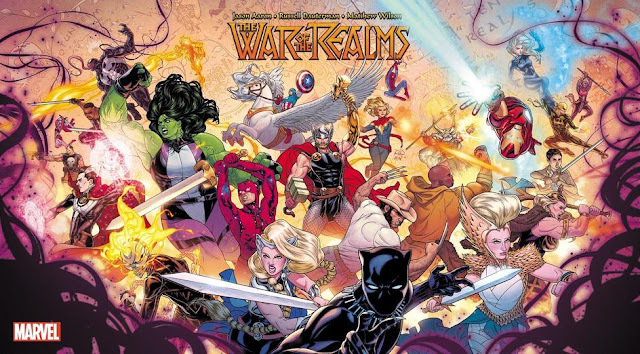 So the big breakout character of the last year has been either Spider-Gwen or Batgirl. 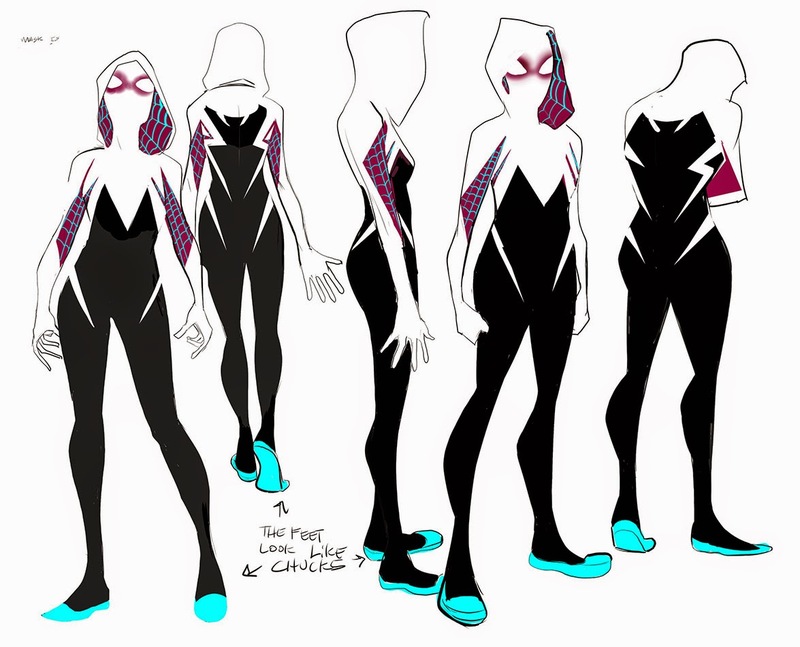 Since Batgirl's been around since forever, I'm gonna go with Spider-Gwen, and a big part of her appeal has been purely visual. She's got a great costume! That goes quite a ways into giving her some draw before she even made her first appearance. 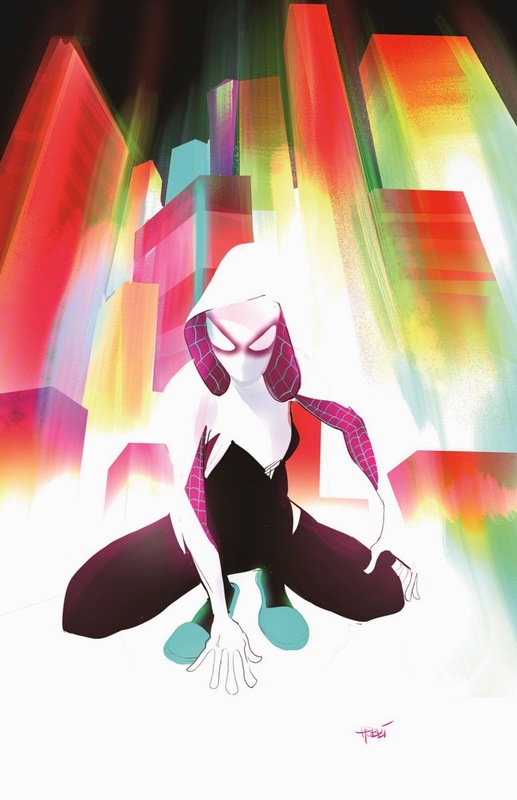 She was inspiring cosplayers and fan artists before she even showed up for the first time in Edge of Spider-Verse #2. I thought her costume was cool, but there seemed to be something inexplicably awesome about it, something I was missing even if I was looking right at it. Then I realized what it was: she's wearing a spider. Check that out. Pointing to her bellybutton is the spider's tail. Two legs go around her rib area and the other two are on her arms. The spider's head is her actual head, and the antennae (or teeth?) come out by her shoulder blades. The idea of a hidden emblem in a costume intrigued me, and I tried looking for other costumes that had hidden emblems. Some, like the Punisher's skull teeth being his ammunition, came close, but it wasn't exactly hidden. There was one very glaring example: the Silver Age Blue Beetle, Ted Kord, who's wearing a beetle. 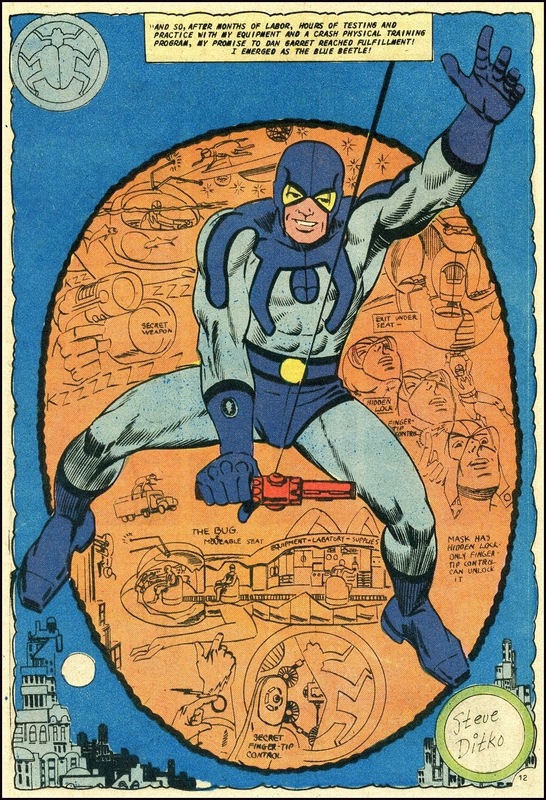 The cool thing about it is that Ted Kord's costume was designed by Steve Ditko, who, of course, was the visually artistic half of Spider-Man's original creators. 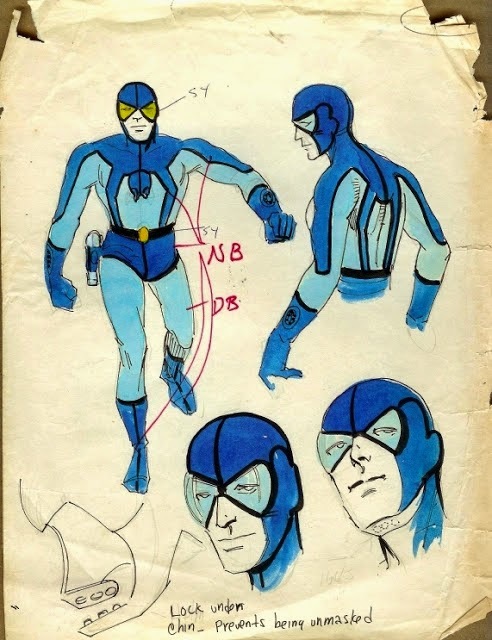 So I dunno if Robbi Rodriguez was consciously influenced by Ditko's Blue Beetle design, but somehow, for a character spinning off of a Ditko creation, he managed to come up with a very Ditko-esque costume. And I think that's somehow just a little bit perfect. Alex Ross did a lot of this in his Kingdom Come designs, too. Thanks! Have you aexamples? I admit that none are popping up to me off the top of my head, except maybe for 666.